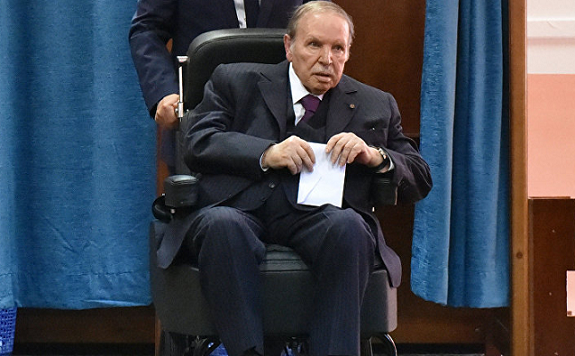 ALGIERS – Algeria’s president Abdelaziz Bouteflika will resign before his fourth term expires on April 28, his office said in a statement carried by the official APS news agency as quoted by Aljazeera. Millions of Algerians have been holding weekly protests nationwide calling for the 82-year-old to step down after almost 20 years in office. He has rarely been seen in public since he suffered a stroke in 2013. He had initially declared his candidacy for a fifth term, but on March 11 withdrew and postponed the election – originally slated for April 18 – in response to the massive protests. Despite Mr. Bouteflika’s resignation, Algerian students on social networks called for large protests to be held on Tuesday in the capital and the rest of the country. Mohamed, a member of a student union in Algiers, said that the departure of Bouteflika is not “enough”. “It does not change anything. He will leave but the same regime, which has ruled Algeria since 1962 and its independence will stay if we don’t continue to protest. What we want is not only Abdelaziz Bouteflika to step down, but we also want the creation of a new political system,” he told Al Jazeera. Likewise, Amel, a computer engineer who lives in Algiers, said that she is not satisfied with Bouteflika’s decision. “He is only the tip of the iceberg. The ruling elite, who is clinging to power, is trying to distract us with the President’s resignation. But we are not duped,” Amel told Al Jazeera. Amina, an undergraduate student at Algiers School of Architecture, who said that she would take part to a gathering against the government tomorrow, described Bouteflika’s last announcement as “a small victory”. “It is the first step but this is not our final goal. We won’t be successful if Bouteflika resigns while the old guard remains after April 28. They must all leave. Now more than ever, we need to stay united and peacefully demonstrate against the regime,” said Amina. The Constitutional Council had been meeting to consider whether he can be removed from office because he is unfit to assume his duties. Under article 102 of the constitution, the council can make such a determination and, pending parliamentary approval, proceed to declare the presidency vacant. The Algerian constitution calls for the head of the upper house of parliament to act as interim leader for a maximum of 90 days while an election is organised. Algerian national television announced on Sunday night that Bouteflika and Prime Minister Noureddine Bedoui had named a new government after weeks of mass protests and political tensions in this gas-rich North African country. The new government must stay in place during the transition period.